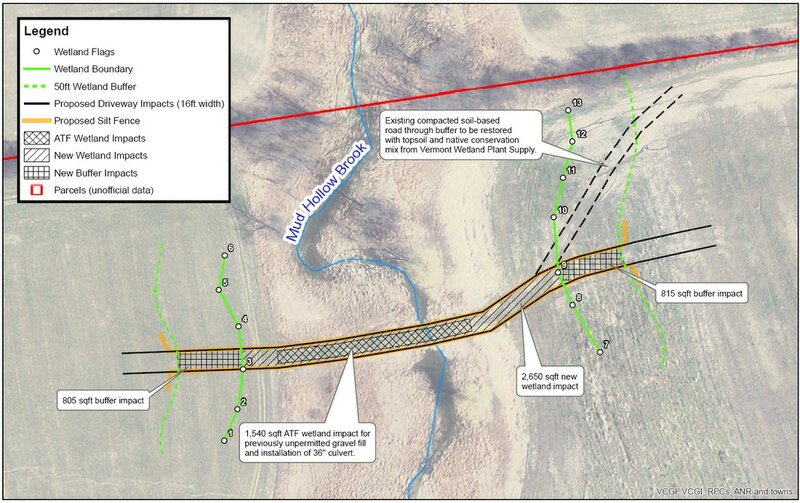 Wetland Delineation - Fitzgerald Environmental Associates LLC. Fitzgerald Environmental regularly assists engineers, planners, developers, and environmental attorneys with wetland delineation and permitting for residential and commercial developments of all sizes in Vermont. We are trained and experienced with the U.S. Army Corps of Engineers (USACE) delineation methodology for the Northeast Region, as well as Vermont Agency of Natural Resources (VTANR) methodologies for evaluating wetland functions and values. We have worked extensively with VTANR and USACE permitting staff on behalf of our clients to navigate the steps required to secure federal and state permits. We are also experienced with the development of wetland restoration plans for wetland violations identified by VTANR. Our wetland mapping capabilities include sub-meter GPS, and GIS-CAD mapping in support of permit applications (see example below). Fitzgerald Environmental has assisted VSWD LLC. 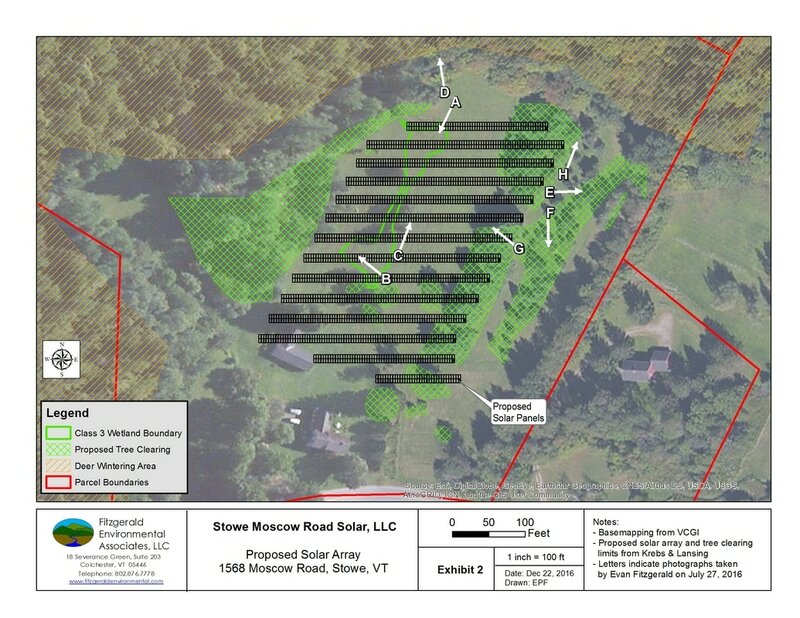 with wetland delineations, river corridor impact assessments, natural resource inventories, and permit applications for over 13 commercial solar development projects throughout Vermont. Many of these projects require complex wetland delineation, mapping, site design, and permitting efforts to install solar arrays within existing areas that are frequently not suitable for other development (e.g., sand and gravel pits, brownfields, marginal hayfields, etc.). Evan Fitzgerald and Joe Bartlett have assisted VSWD with these projects and are both trained in the U.S. Army Corps of Engineers wetland delineation methods for the Northeast region.